During a civil defense drill, President Dwight D. Eisenhower rode in his personal limousine while cabinet members flew in a helicopter and arrived at the bunker far sooner than the president did. This sobering outcome sparked the search for a suitable helicopter to whisk the Chief Executive to safety. 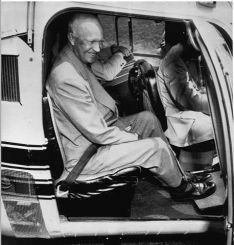 In 1957, President Eisenhower began asking about the use of rotary aviation as a means of presidential transportation. Because of a difference of opinion between the Air Force and the Navy, President Eisenhower decided to leave the decision with the Secret Service. Until 1955, the Secret Service had refused to allow the President to fly in any aircraft equipped with less than four engines. After Secret Service flight rules eased, a single-engine helicopter appeared very convenient for presidential transport because it could operate from the White House lawn. They concluded that helicopter travel would be as safe a method of transportation as the traditional wheeled motorcade, and The Air Force was instructed to purchase two Bell UH-13-J helicopters for use by the President. The White House also contacted Sikorsky to design a helicopter for the President's personal use. These new aircraft were nearly identical to the standard production Ranger configured as a commercial executive transport. 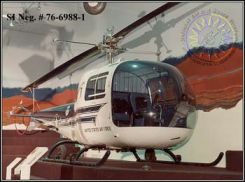 Bell only added two new features to the presidential version; all-metal rotor blades to increase the helicopter's useful load and special tinting to the huge Plexiglas nose bubble to reduce glare and heat. "Operation Alert" began on July 12, 1957, and by mid-afternoon, Eisenhower had become the first U.S. President to fly on board a helicopter. Major Barrett flew the UH-13J bearing serial number 57-2729. He carried President Eisenhower and a Secret Service agent to Camp David. The President sat in the right rear seat but leaned against a special armrest installed for him on the center seat. He also used a special footrest. 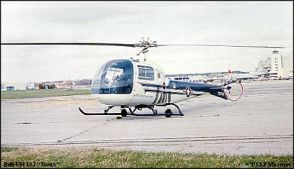 The second UH-13J, serial number 57-2728, carried the President's personal physician and another Secret Service agent. Both helicopters were based at National Airport, along with the other presidential aircraft. This was the start of almost weekly flights to either Camp David or to Ike's Gettysburg farm. Flights to the farm first flew to Camp David, where a strobe light placed in top of the barn at Gettysburg guided the helicopters to the farm. 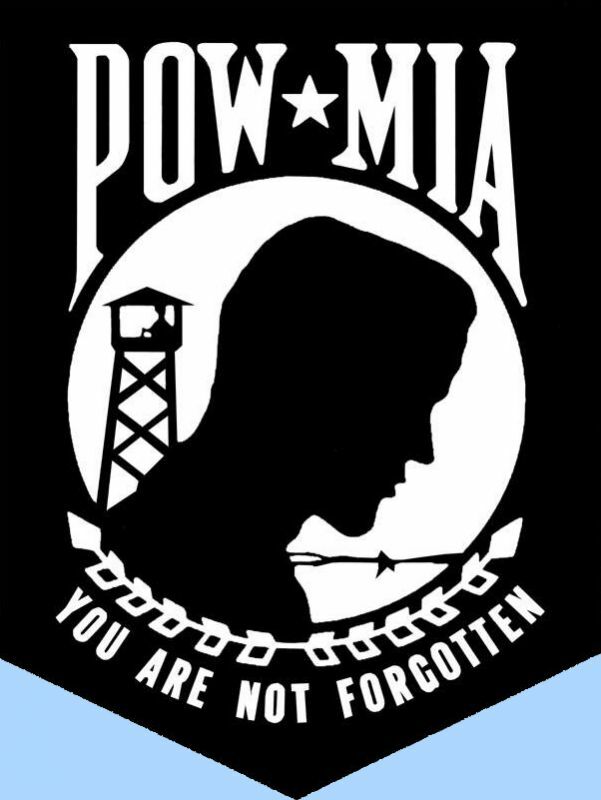 The two Air Force UH-13J aircraft were designated to fly the president to his Super Constellation airplane at National Airport (D.C.), to Camp David (MD) and to his farm in Gettysburg (PA). After their White House assignment, the two UH-13Js were used to transport high-ranking Department of Defense personnel. In July 1967 both were transferred to the Smithsonian. The helicopter that President Eisenhower used to make the first helicopter flight is at the Paul E. Garber facility. The other UH-13J is on loan to the Air Force Museum Dayton, Ohio.